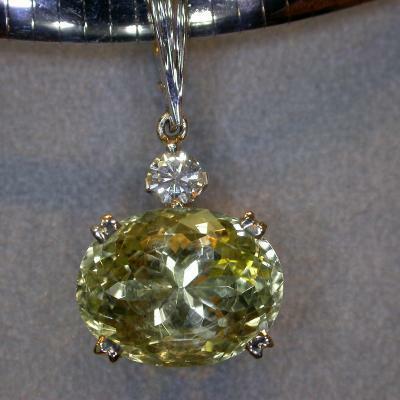 This pendant features a unique yellow Beryl. A close cousin of aquamarine, this stone has all of the luster and brilliance of its blue cousin, along with a warm lemon yellow glow. Stones such as this are very unusual, and only come through our door on rare occasions. 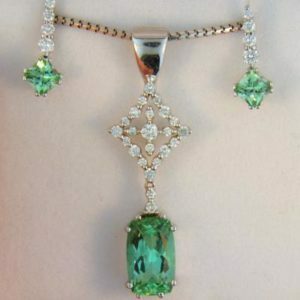 This pendant is set simply in white gold with a round diamond accent. 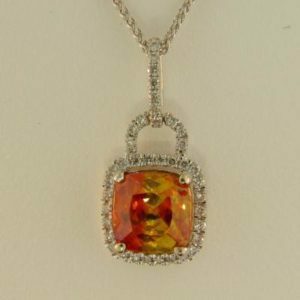 A large bail was chosen so this pendant can be worn on a chain or omega style necklace. Details: 14k white gold with 8.00ct oval yellow Beryl (aka Heliodore) and .25ct round diamond accent (SI1 G). This item was custom made for a client. 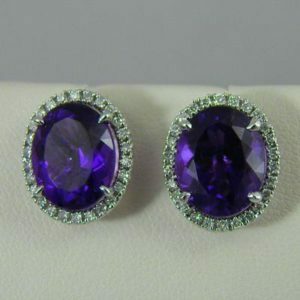 Please contact us for pricing and availability of similar pendants.